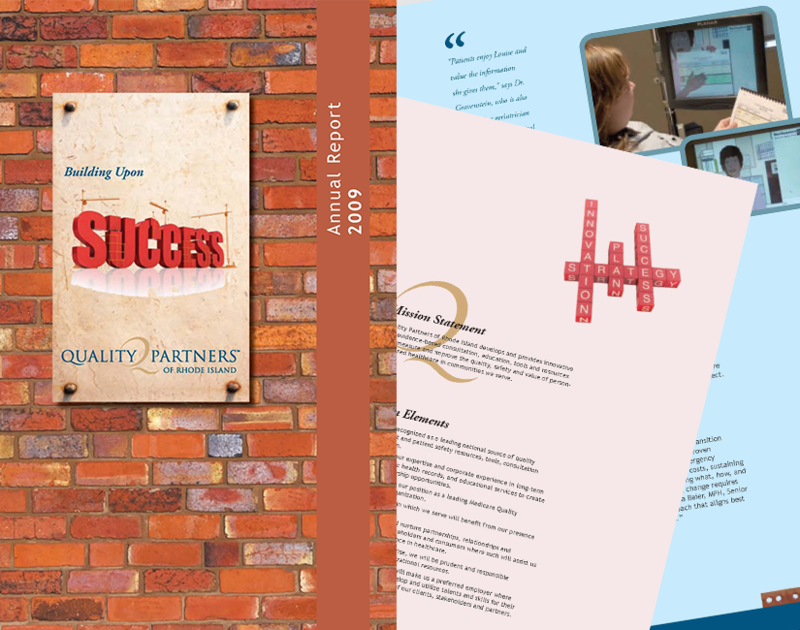 “Building Upon Success” was the theme for the organization’s 2009 Annual Report. The report’s center spread featured a staff photo using the theme as a creative guide. Stories included a pressure ulcer collaborative and encourage safe patient transitions using computer technology to educate patients about their disease/illness prior to hospital discharge.